With just 10 days to go for the first payout deadline under PM-KISAN, only 2.74 crore farm families, or about 56% of the total list of 4.92 crore names submitted by States, have been paid so far. 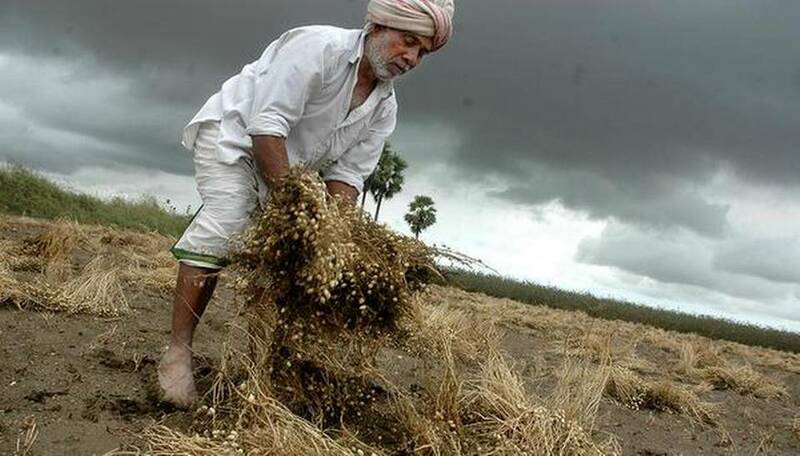 The remaining 2.18 crore farm families are still awaiting processing or are caught somewhere within a four-stage validation process set up belatedly to weed out fakes. The scheme to pay ₹6,000 per year to small farming families was introduced less than a month before the announcement of the Lok Sabha polls, and the first instalment of ₹2,000 is to be paid by March 31. These checks and balances were built as we implemented the scheme it s not like they were thought of in advance, said a senior official from the Agriculture Ministry, which is coordinating with the States to roll out the scheme at a breakneck pace. The four-stage validation came into the picture because we found discrepancies in the names after the first set of beneficiaries, added the official, speaking on condition of anonymity. The scheme was operationalised on February 24. In Telangana, where a similar fund transfer scheme for farmers has been ongoing for a year, the State spent one year before the schemes rollout to clean up land records, identify beneficiaries and weed out fakes. For PM-KISAN, the Centre left it to States to identify beneficiaries using their own land records. The first stage of validation is to check the State-submitted database and ensure that data entry is complete with all mandatory details filled in; the second stage involves verification of the bank account number and IFSC code; in the third stage, banks verify if the name on the account actually matches the beneficiarys name. If a proposed beneficiary trips up at any of these stages, the details are sent back to the States for on-the-ground manual verification, a process that has become slower as State governments have shifted their focus to poll preparation. Once these three stages are cleared, States sign a fund transfer order for the remaining beneficiaries and money is transferred directly into beneficiary accounts. About 1% of these transactions fail, mostly due to problems with the nature of the bank account, said the senior official. In real terms, this means 4.1 lakh farm families facing failed transactions. Farmers in several non-BJP ruled States are likely to miss out on the first ₹2,000 instalment entirely as the March 31 deadline approaches. West Bengal, Delhi and Sikkim have not submitted any beneficiary names at all. Madhya Pradesh and Rajasthan have sent in names, but failed to sign the fund transfer order, said the official. Karnataka has approved fund transfer for only 17 beneficiaries. Let politics not come in way of farmers interest,Finance Minister Arun Jaitley tweeted on Tuesday. Several Opposition leaders have previously dismissed PM-KISAN as a poll gimmick and a bribe for votes. Meanwhile, the Centre has approached the Election Commission to clarify whether fresh names can be added to the database even after the Code of Conduct was imposed, and whether these new beneficiaries can be paid just before the general elections.